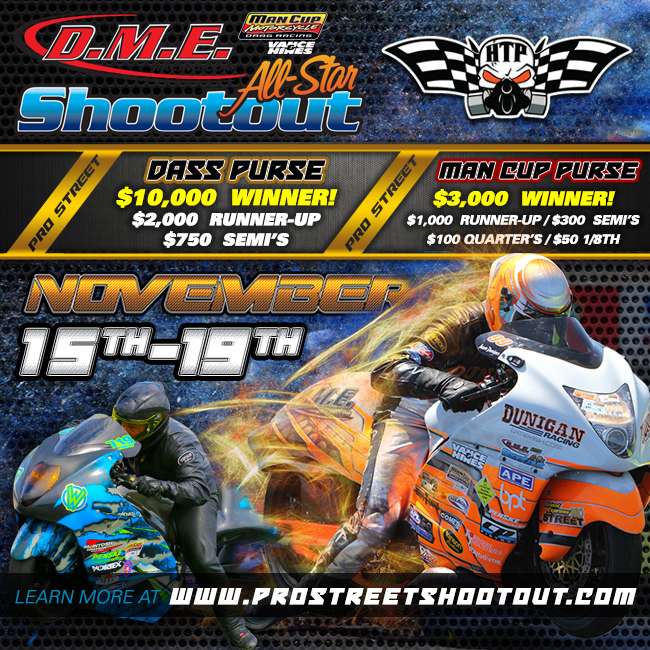 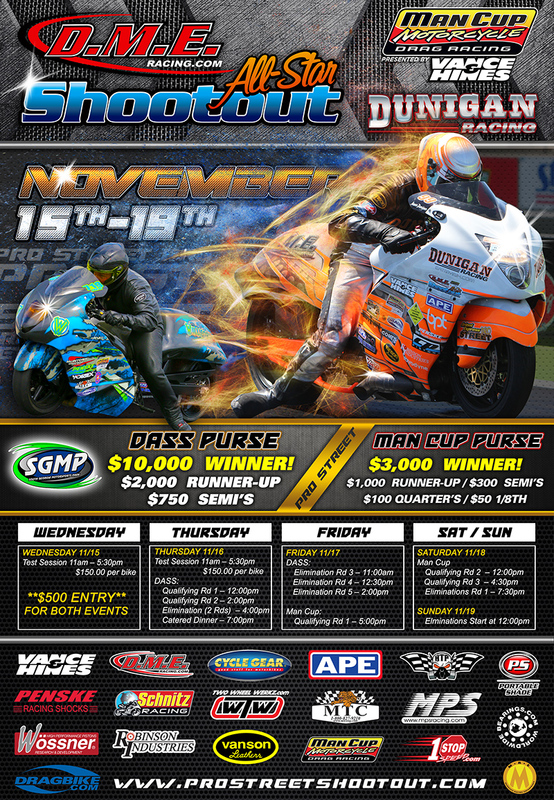 Over 25k in purses and prizes available to Pro Street riders across the weekend of November 15-19, 2017 atSouth Georgia Motorsports Park. The biggest Pro Street event of the year is coming! @racemancup / @dme_racing All-Star Shootout.